Beq's other blog: For LOD's sake stop! TLDR; Increasing LOD Factor increases lag. Just say no! Introduction - Bad design is slowing you down. Is your Second Life slower than you'd like? Do things grind to a halt when you visit a busy region? Have you read a notecard like this and followed its advice? These things may well be related. Notecards such as the one above are sadly widespread, and I suspect that in many cases the designers suggesting this don't fully appreciate the impact their advice can have. Higher LOD Factor = Lower FPS. Let's be very clear, the higher this LOD Factor setting, the longer it takes to draw the scene (frame), which means fewer frames per second (FPS). Lower FPS is a part of what many people call lag. In the new release of Firestorm (5.0.11), the viewer will warn you if you have unusually high settings, and settings that are considered too high for general use will revert to defaults after a restart. This is done in the hope of improving the overall user experience by encouraging more creators to design efficient, well-behaved content. In 5.0.11 the limit for "normal" use will be 4; this may reduce further in the future. The remainder of this post will try to de-mystify the "techie" terms LOD and LOD Factor and discuss why you should prefer content from creators who take the time to make Second Life–friendly products. 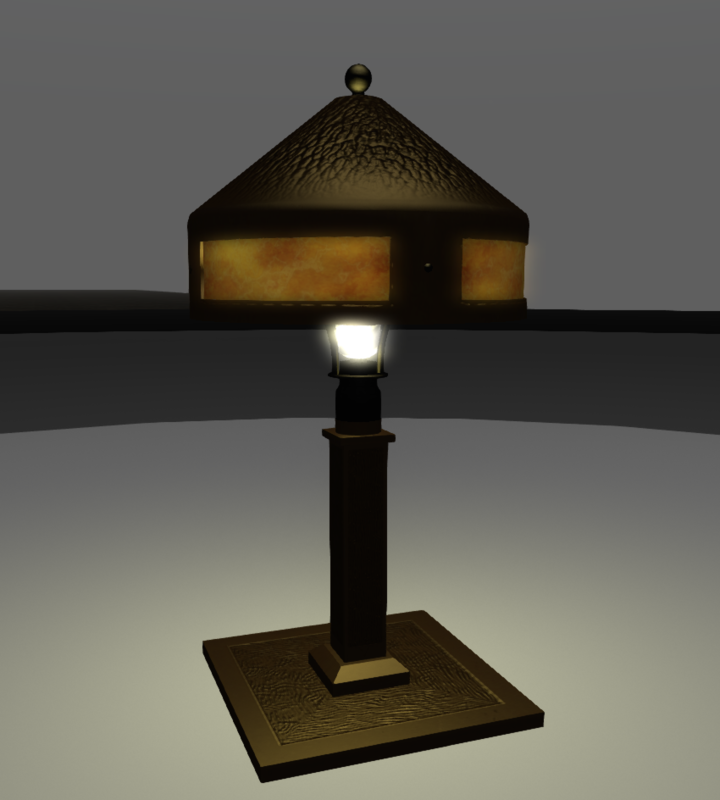 LOD is an acronym representing "Levels of Detail", a standard mechanism in computer graphics that is used to reduce the amount of work required to draw a scene by using simpler forms of objects that are smaller or further away. The faster a single scene can be drawn, the more times per second it can be redrawn and the faster and smoother your in-game experience will be. In Second Life objects are constructed from up to four versions of the same item, each with fewer details than the preceding one. These are the Levels of Detail (LODs), and you might see them as the object moves into the distance. As Loki Eliot once stated, the best way to visualise LOD is to consider a series of concentric rings around an object; as the camera passes from one ring to another the viewer changes to the next LOD model. Here, with Loki's permission, is an animation of his original illustration. As you can see, the further the viewer is away from the object the simpler the representation. The illustration exaggerates for effect, of course, and a well-designed object should decay gracefully as it vanishes into the distance. 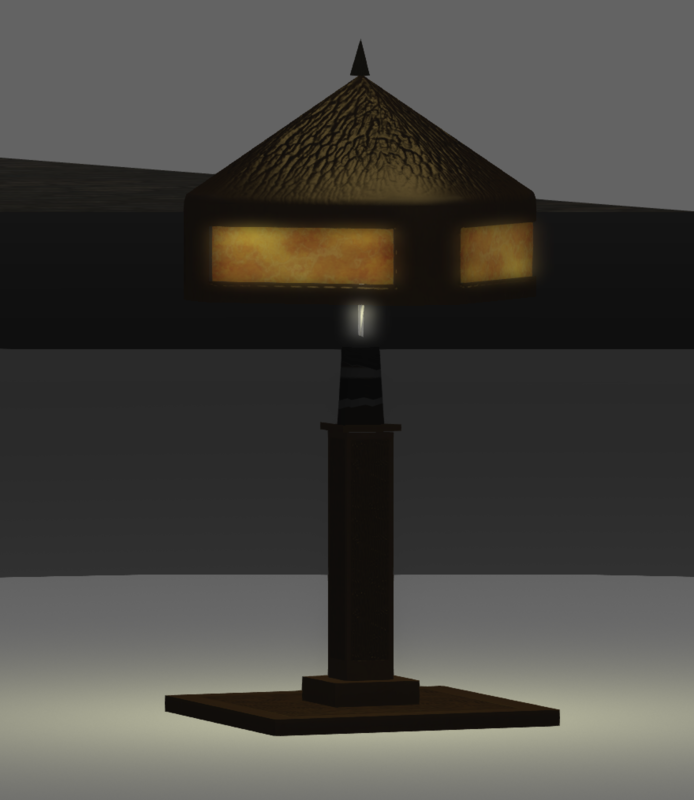 This second short animation loop shows a real object, the same table lamp that was shown above in its constituent models, this time viewed in-world on a platform of rings that represent Loki's concentric circles. The viewer can be seen switching between these versions as the camera retreats away and approaches again. The embedded image barely shows the changes at all; when viewing it full size, the switch is noticeable, but not so much as to distract you if you were focussed on nearby objects. 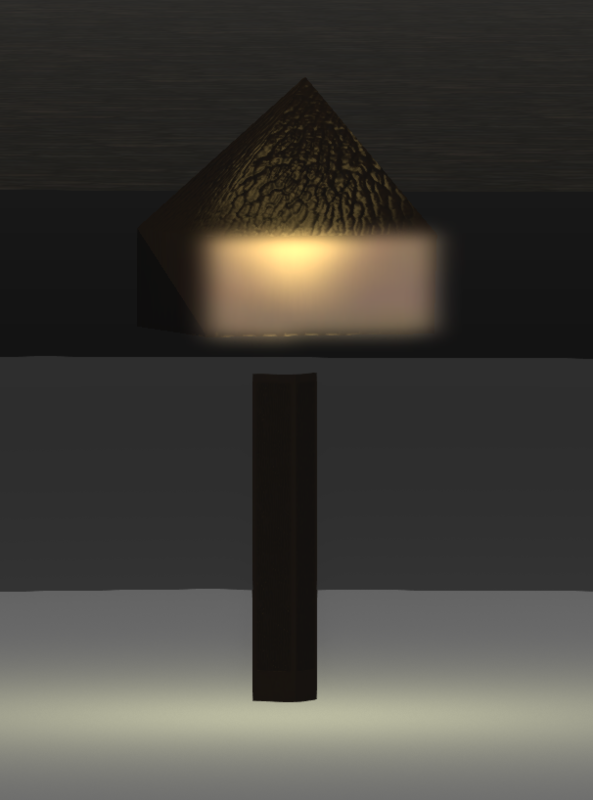 It is the job of the creator of an object to specify what an object looks like in each of these simpler forms when they upload it to Second Life. A well-designed product should be recognisable at a distance, and the changes between models should not be so noticeable as to distract the user. Many creators understand how their creations affect the user experience and carefully craft models for each LOD to ensure that the user experience is good. However, for a long time now, there has been an unfortunate tendency with some designers towards skimping on the low detail models (often specifying just a single triangle) to artificially lower the Land Impact and make them seem "more efficient". This, of course, means that the object will crumple quickly as you move away from it, so they compensate for this by telling the users to "adjust their settings" to "see the product as intended." This has a significant impact on the overall performance capability of Second Life. Remember those concentric circles I mentioned above? Each circle represents the boundary line either side of which a different LOD model is shown. How far away those boundaries are from the object is controlled by the size of the object and a thing called the LOD Factor. Irrespective of the size of an object, the larger the LOD Factor, the further apart those rings will be, and the wider the area that the models are visible for. With LOD factors that are high, everyday objects are drawn in "full detail" even if they are barely visible on the screen. Why is changing LOD Factor so bad? The LOD Factor setting is a global adjustment; it affects everything that you see. Every object in view, no matter how large or small, will have its LOD behaviour altered according to that setting. By the act of setting an arbitrarily high LOD Factor, because your favourite sofa at home crumples when you stand by the door, the viewer will be forced to draw the high detail model for all objects a lot more often. Consider the extreme case of a jewelled earing worn by one of the crowd in a shopping mall, perhaps no more than a few pixels on your screen. In spite of the size, the viewer will have to try to draw every facetted jewel and tiny metal clasp just because a designer was unwilling or unable to design a proper LOD model and told you to use a debug setting instead. How do you find better content? "Ok, ok, enough already, I get it. Bad content, has bad LODs. But how do I find the good stuff?" One simple rule of thumb is to avoid content that tells you to adjust your viewer settings to see it properly. If an object comes with a notecard or other "advice" to increase "RenderVolumeLODFactor", then the chances are that the object will not have well designed LOD models. However, with the new release of Firestorm, you will also have better tools and be able to inspect an item in-world to see exactly how it behaves. The new Mesh Info panel is described in my previous blog post. Using the LOD display function, you can look at the different LOD models, and in the information table, you can now also see what distance the concentric LOD rings would be at for both LL and FS default LOD Factor settings. When evaluating an item, consider the way it will be used. Outdoor objects such as cars are likely to be seen from far greater distances than a piece of furniture, and remember too that even if you adjust your LOD Factor higher, your friends may not and will not be so impressed by the pile of crumpled triangles parked outside. An indoor item may never be expected to be seen outside of a room so the designer may have made legitimate choices to economise, use the tools to decide. The chest of drawers in the image to the right will start to collapse at 5m for anyone on the Linden Lab viewer default settings. In a small house this is fine, but in a stately bedroom this may not be so desirable. I hope that with these changes people will be empowered to start to take control of their SL performance and make better choices, but there is a stronger incentive too. As Second Life continues to grow and evolve, new features are being added and old features modernised. With each new development, there are extra demands on the viewer to draw them. To balance this equation and to keep the world accessible to as many as possible, more needs to be done to encourage efficient Second Life optimised content. There are very strong suggestions that the way that Land Impact is calculated will change, penalising poor content in favour of well-designed content. How this will be achieved is as yet unknown, but the writing is on the wall for bad content. I hope this has helped to explain a complex and somewhat technical topic without too much techno-babble. Thanks for the info. Other virtual environments such as TRAINZ simulator are grappling with the same issues and implementing similar ways to alter the LOD of objects based on their distance from the viewer. If you have a feature request then the best way to make this is via the Jira. Any such contributions would need to be fully non-commercial and available for use on any grid though. first of all, its a great thing and way to get awareness to LOD factors to residents, what they are and how to deal them. thumb up for that! but for god's sake, forcing an LOD factor back to 2 on each login AND a persistant nag on each change thats higher than 2 and cant be turned off is - from builders sight and maybe some roleplayers sight - really NOT the way to go. i surely agree taht the everyday random (!!!) use doesnt need high specs, nor older/not updated/weak rigs can and have to deal with but for tests on products for LOD behaviour and for roleplay that does need some certain object visibility in distance (eg combat, flight, sailing, driving etc) it is very crippling and (sry to say it that way) annoying. signing awareness for LOD's, but as maybe better alternative my suggestion to serve a wider spectrum of users (especially builders and people taht arent on really weak rigs or laptops) i'd like to be able to switch the nag off and NOT have my LOD reset to 2 on each login (which even gets the debug settings useless too). additionally there could be some link to this wiki or some similar that focuses on an individual use, eg for questions as "i lag/i have an old computer, how do i optimize my settings?" or "i dont need a high(er) setting, but how do i set my LOD up for my needs?" Only values above 4 are non-persistent. If you set above 4 for some reason then it will revert to you detected graphics capability default (1.5 (low), 2 (majority) or 3 (ultra)). After 5 things can start to get weird, after 8 they are simply buggy. It would help a lot if if LL didn't charge more to upload a properly made object with correct LOD models and changed the calculation for Li to not penalize for it either. As long as both those things are in place, we'll continue to get content that turns to blobs from more than 10m away. Even worse, there are TPV's that default to settings higher than 4. At least one aircraft maker in SL thinks that a setting of 6 is normal because their viewer defaults to that and that's what they evaluate their aircraft appearance using. No viewer that I am aware defaults to that, but that does not mean it does not exist. However that just serves to illustrate the point, a creator ignorant enough to assume that their settings apply to everyone does not deserve to sell any content. Great info however I think something needs to be clarified. You give the impression in the "How do I find better content" section that a user can see the LODs assigned by editing an object, as you show with the dressers. We can't do that unless we are the owner of the objects so while that feature is helpful for designers, consumers won't be able to use the SL edit tools (other than the Inspect floater) to make wise purchases. Hi there, the LOD preview works irrespective of ownership. I do not own that dresser at all, in fact that is the sale display at a popular shopping event. right-click and edit. Of course, if you have the "edit only my objects" setting enabled that would hold you back. Try toggling that. I'm a mesh builder in SL and unless people know about uploading mesh and the prim impact it creates and the hell it creates no one can say what is right or wrong about the LOD. An object I try to upload with high triangle count will either not upload to the game OR will come into game extremely heavy in prim count. Lowering the LOD for the upload and asking others to change theirs to a LOD of 7 ensures that 1 the object is viewed properly and 2 that the prim count remains as low as possible for that object. SL vehicles work on a physics of 32 and will not dive if it is over that. By uploading the way you suggest not only will the build be useless because the car first off once it reaches over 300 prim it will not function properly any ways but second it raises the physics based on its complexity. What you say in this forum is only true to people that have a low graphics card that can not support proper rendering of the objects and there for YES their system will experience a decrease in frame rate. But if your computer is newer meaning from 2015 on up it has the ability to run the LOD factor at 7 and not have any problems in performance. As for how you are showing a better way to make the LOD factor for each object only works if the object is modifiable for each individual owner and i will not sell my builds with the ability to have others modify them and possibly screw things up for that build and then complain. Also the model you show is a low triangle count as it is why not try a higher count and see how many parts you will have to modify and upload before you can get it all in to the game, and make it low prim to where the average user that rents a place with limited prim count can rez and use it without sacrificing a lot of prims. If any one wants to see what i mean by the prim count compaired to complexity message me in SL under NWCWorld and i will invite you to my store and show you an old build using the medium to high LOD in the uploading process and one that i uploaded using a low LOD and asking others to make theirs 7. The solution to this is to not create high triangle count meshes to begin with. Often times, especially with vehicles you'll want to carefully construct amazing LOD meshes for the external parts. The wheels, the rims, the body, windscreens and even the seats. Whereas the interior of the vehicle will only be seen from a short distance away so ~ LODing those parts harshly ~ as well as engine components and other parts not readily visible from a distance will bring your LI down further without the need for changing the LOD setting. There are absolutely excellent exquisite vehicles in SL, some even with exposed motor components that are 18-32 prims. They do not crumple from a distance and they are actually more reliable on sim crossings due to the fact that they aren't as digitally "heavy" IE less data to port around. It's a matter of optimizing where you need to, and cutting corners where you can't be bothered. The best recommendation I can give you as a designer is to rely upon modeled details less, and texture more. Especially with regards to the dash console and internal components. 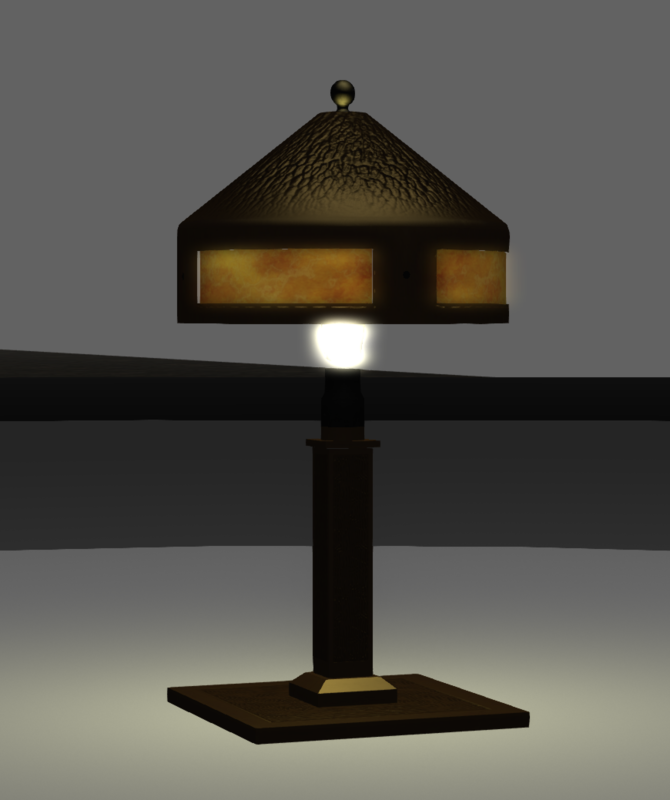 It's amazing what can be accomplished by simply diverting some excess geometry to a normal & diffuse map. Great idea. Lets all go back to prim cars that were square boxes and just textures. That may sound sarcastic but that's essentially what your answer is. Simpler shapes and using texture to simulate geometry just like in the old days. The other harsh reality is that GPU technology has moved beyond what the viewer can really make use of. My 1080ti is only able to use 2gb of it's 11gb texture ram because the viewer does not comprehend any more than that. So instead of JUST expecting creators to make better objects perhaps movement on both fronts would improve the SL experience. More optimized objects AND a modern viewer that is able to use the full GPU capabilities of even a 5 year old video card. A lot of really old cards have 4gb texture ram and Firestorm can't touch half of it. To be completely honest. I don't think that gimping the viewer and pinning the blame on the creators is the right move here. With modern platforms like VR chat and Sansar becoming more mature it's the death knell of a platform like SL. OK, so let's take this a bit at a time. "An object I try to upload with high triangle count will either not upload to the game OR will come into game extremely heavy in prim count"
yes that is an inefficient mesh and is penalised deliberately due to the overhead it has. "Lowering the LOD for the upload and asking others to change theirs to a LOD of 7 ensures that 1 the object is viewed properly"
No, it means that anyone silly enough to listen to that advice will be forcing their graphics cards to do many times the amount of work that it would need to if the mesh had been designed well with SL in mind. Mostly this kind of issue arises from people ripping stuff from modelling sources where the models were never intended for real-time online games. "By uploading the way you suggest not only will the build be useless because the car first off once it reaches over 300 prim it will not function properly any ways but second it raises the physics based on its complexity. " The physics weight of an object is defined by its phsyics model NOT by its mesh. If the designer creates a proper low complexity physics model then it will be considerably lower than the physical vehicle limit and the visible mesh LI can be higher, and the vehicle will remain drivable.
" As for how you are showing a better way to make the LOD factor for each object only works if the object is modifiable for each individual owner and i will not sell my builds with the ability to have others modify them and possibly screw things up for that build and then complain." I am not showing people how in this blog (I explain how mesh works and how to be efficient in my older blogs). I am showing them how to use the tools we provide to identify mesh content that has been poorly designed with SL in mind and thus to avoid spending money on it. anyone that forces people to rest there settings is no better then a nanny state. This is useless and will make people change viewers plain and simple if it stays like this ill migrate to a new viewer. I do not not agree with nanny state pushers. Migrate? You're not a special butterfly, nor can you predict the future. Stand by your half-assed convictions, repeat to yourself "to hell with the community" and login using another viewer. Don't even need to pack your bags. Viewer selection is a free choice, the current list of options are found http://wiki.secondlife.com/wiki/Third_Party_Viewer_Directory. However, do not be surprised to find that many viewers including the Linden Lab viewer are following suit. This change was made as a means of informing our users and discouraging a practice that is ill-advised in general as it undermines the efficient operation of the platform by supporting poorly designed content. It was intended in part, as a forewarning of things to come. In the coming year we are likely to see significant changes to the rendering and accounting in Second Life as Linden Lab work to evolve the platform and to provide modern facilities to secure the future of Second Life. This will include changes that alter the very operation of the LOD mechanism (potentially making LOD factor irrelevant) and that discourage the use of poorly designed content by rewarding good design and removing the poor excuse of lower LI that exists today. For the platform to continue to grow and evolve, to be able to adopt new features and provide an excellent modern 3D environment it needs to have efficient content that does not depend on settings being overridden to work properly. For the time being, a setting of 4 which will not trigger any alerts is still providing a significant extension to the rendering range beyond the defaults and only the most poorly constructed content will not display at reasonable distances with such a setting. For those situations where you really need to override to a higher setting, moving to above 4 is still available but will reset after login. ensuring that for all those times when you are just wandering around you will run smoother. In summary, changes are coming, we don't know what they are yet but it is clear that Linden Lab are aiming to change things to prevent poor content thriving via loopholes in the accounting. See this as the first sign of improvements that will require better content more conducive to a good user experience, for everyone. Which is hopefully what all creators really want. Indeed. Bad design is slowing us down. Don't blame the creators though. The bad design is on the Server and Client side. On the server side we are choked for cpu and memory while opensim running VERY similar software is not. On the client side we have viewers that are limited to 2gb of texture ram and don't take advantage of many of the modern features our GPU's have in them. To blame the creators when they are doing their best to create content that people want in an environment that's so limited by bad design choices is throwing the baby out with the bathwater. VR Chat is already starting to absorb SL users even though the platform is not quite as mature yet. Why? It's a better designed platform. Evolve or die. Both Second Life and Firestorm are faced with the same problem that every company in the tech industry faces. Blaming the creators rather than fixing the broken things that cause these issues won't solve lag. All it will accomplish is to limit our choices when creators say "enough of this" and suddenly realize that they are wasting their time creating. There are many creators out there that understand good design. Go to you tube and look at low-poly game design videos, read forums such as polycount. The point here is that content that is poorly optimised has a far higher overhead to render then well designed content that can look as good, if not better. As SL adds new features such as animesh the overall complexity in a scene will increase, unless we are to force the minimum spec for users to be higher the typical scene complexity needs to reduce. If you are already eating into render time or even maxing out a card, drawing irrelevant triangles you have less capacity to do other things. There are many features planned by the Lab that will modernise the viewer code base. Keep in mind though, that while a lucky minority have high end graphics cards the majority of SL users do not. Here's the funny thing. Most other platforms also recognize that some users have high end cards and some don't. They design their games to work well with both. It's absolutely silly that with graphics cards on the market that support 4,6,8 and even 12gb of texture ram that Firestorms crusty ancient code will only use 2gb. It's also insane that you are still convinced that the standard internet connection out there maxes out at 3mb when there are customers with 100mb and higher connections. TPVs like firestorm are not in a position to make radical changes to the viewer pipeline. Those kinds of changes are brought about by the lab. It is a massive undertaking that would be very hard for part-time volunteers to do in isolation especially when you have to continually merge with the main viewer in order to stay compatible. That said, Oz Linden recently announced that they have secured a graphics pipeline developer that had previously been seconded to Sansar to work on SL again. This means that many of the rendering changes that had been on hold can be examined again. There are lots of other reasons why managing VRAM on large cards is problematic for a dynamic environment like SL, and creating inefficient, poorly designed content does not change any of the facts on this. The aim of the restriction on LOD Factor was not so much to inconvenience users (a lot of the noise on this is just people being affronted by us "restricting their freedom" in spite of never really going above 4, and ignoring the fact that above 4 offers very little additional rendering fidelity except for the most poorly designed items. A value of 4 offers extremely long ranges for most items without any reset or nagging and is probably the setting that high performance users will ultimately settle on, most people who have looked at this still consider 4 to be too high but we chose not to restrict further. The change was instead a message to creators that contributing poorly designed content to the platform and making the users foot the bill for this, was harming the experience for the majority. As I have noted elsewhere, this message will be more thoroughly reinforced by the lab with coming updates that will stop the unfortunate side effect of the current accounting that incorrectly rewards poor design. Putting the doomsayer cries of "the end is nigh" aside for a moment, and assuming that all the users don't vanish in a puff of VR smoke, the long-term effect of all of this will be a platform that continues to be accessible to the many users on low to medium level hardware, and offers high performance to the power users, with good quality content that does not expect a user to render an entire scene inefficiently just to deal with the selfish demands of the content provider who feels they are too special to learn how to design properly for a dynamic online environment. That's all great stuff. The problem of course (as you have found) is the users see this as LL and Firestorm shuffling the deck chairs on the Titanic rather than dealing with the big gash in the side of the boat. To spin LL shuffling land impact around to make room for their new feature animesh without spending more to upgrade their ancient infrastructure is quite honestly underestimating the intelligence of the user base. Lots of people don't appreciate being fibbed to or having their settings jerked out from under them to save Linden Grabs some server resources. Especially from a 3rd party viewer many of us have grown to trust. It's almost fitting that you stopped signing your binaries at the same time as this update. As for the creators. They are doing the best they can with an outdated platform using outdated viewers. To blame them for "tricks" they have learned when there's poor documentation and near zero real creator support is really crummy. Your changes not only affect creators but also affect land owners who have mesh objects that don't appear correctly due to your changes. Some of them like the creators may just say "the heck with this" and leave. While my two regions won't make a hill of beans to LL if enough users have the same idea perhaps we might get someone's attention. We pay a LOT of money for LL's outdated platform and little things like this often can become "the straw that broke the camel's back". Personally i'm tired of seeing little useless changes like this with people blatantly ignoring HUGE issues. Now this is getting a little over-blown, we put a pop up warning against setting LOD Factor to values that make little sense, to encourage creators to stop abusing that setting, and yet somehow that's fibbing? As for the Ageing infrastructure, if you recall, not so long ago the prim allowances were increased, at the time the Lab blogged with a plea to creators to use this extra allowance to create better content that looked good on a wider range of machines. Animesh will have little to no impact on the server-side, it does however require the viewer to be able to draw a whole new set of rigged mesh objects. Whether these are worn as pets (or whatever other uses the ever inventive SL creators come up with) or run freely around the regions as animals, NPCs or maybe machinery, they will each add to the load on the viewer. I think you do a massive disservice to the many excellent content creators that take the time to produce excellent quality low LI, highly detailed content by learning how to make models for this type of platform and ensure that it will work for the standard settings. As for education, I agree there is room to improve. There are many tutorials that teach how to create efficient content, some very good and well informed and others sadly far from it. It is hard at times for users to know what is well-informed and what is spurious so I agree that better official content creation guidance would be awesome. If you have real issues with Mesh in your region not looking right even at a setting of LOD Factor 4, that Mesh is very poorly designed, there are no ifs or buts about it; it is not showing correctly at almost 4 times the distance that the standard viewer defaults to and twice the typical defaults of Firestorm. Personally I am hoping that the revision of the LI calc rewards good creation, rather than penalises bad. Giving a reasonable triangle "budget" for lower LODs that does not get charged in the LI would mean that making the lower LOD models would not affect your LI but would make things look better, it would call the bluff of the "we do it for the LI" argument. Be honest now. You don't just pop up the message. You clobber the users settings too it resets to the one YOU want. Not very nice now is it? Not exactly promoting user choice is it? Why is this setting so important that you clobber it when there are hundreds of others that can ruin their experience just as well? Are you coming for draw distance next? So on the creators. I'm not doing any kind of service or disservice to anyone. I buy quality content from quality creators. The problem of course is not all content is created equal and sometimes niche market items only come from certain creators and you don't get a lot of choice in the market if you want certain items. Deal with whats there or do without in a lot of cases. While I don't have specific issues in my regions it really bugs me that the developers of a viewer would meddle with users settings to the point that it might affect a users experience. Mind you with a very near zero impact on performance. My Firestorm viewer had it's LOD cranked up (yes from one of those notecards) and when you clobbered my settings my frame rate did not change AT ALL. Granted i'm using one of the better video cards on the market but it still had zero impact and had the potential of making mesh objects render poorly. What kind of toaster are you guys using as your test dev machine for it to make any kind of noticeable impact at all? For giggles today I downloaded Black Dragon. It's absolutely amazing how flat and crummy Firestorm's rendering looks now after seeing a scene rendered in Black Dragon. With a very similar FPS as well. Why can't you make Firestorm work that well? Having a mix of viewers like we do is a great thing. It allows the smaller viewers to be creative and disruptive with features that are bleeding edge. Once those features are matured and with the permission of the developer (which may not always be there) we can pull them in to Firestorm. Ideally those features get contributed back to the Lab in the nature of open source endeavours that they began and we all get them. Indeed choice is a good thing. The next time you feel you need to write logic that overrides the settings that a user specifically wants perhaps remind yourself of that. While I understand you feel strongly about this being the right thing the user often feels just as strongly and does not appreciate you choosing for them. They know their specific system way better than you do. Not all of us have the same rendering limitations. A choice you make for the user with an average PC still affects the user with a high end PC. In my particular case my quality has been slightly reduced with absolutely zero difference in frame rate. To be honest a lot of the "upset" that you are seeing is about the choice to clobber the settings every time. You probably could have been able to get away with clobbering it once with the viewer update. Clobbering it at every relog was the overstep that upset people. In our conversation (which I greatly appreciate btw) I have mentioned several settings that 10 years ago were good choices that have become severe limitations over the years. There's lots more out there. You brought up some really good points about the TPV program and I have done some learning and understand the limitations you have to deal with developing in this manner. As a developer however the Lab respects your thoughts more than that of an average user. Please consider speaking up about some of these things. SL does not have to be outdated and terrible. Hardware on the client and server side has come a long way as has the connectivity that we use. Keep in mind BOTH ends of the spectrum in regards to hardware as not all PC's are created equal. Good software should always be able to make use of superior resources while still allowing less capable systems to benefit from optimizations like this one. Ultimately I see you did what you felt was right and I support your decision just not the way you went about it. Will I stop using Firestorm over this? No. I'll still use Firestorm to view the world from a users perspective from time to time. For everyday use however Black Dragon does seem to make better use of the hardware that I have available. Choice and options are always a good thing. So are software developers that engage in dialog with their users like we are doing here. You have shared with me a different perspective and I appreciate that. I hope that this users perspective has been helpful as well. I could not understand falling to lod 2. my computer is in lod 8 with no problems, I can not understand my reset settings again. Made the FireStorm warning and informed, respect the user preference. From a non-techie perspective, I found this informative and helpful to better understand the interaction of LOD with lag. I hope that SL devises a way to penalize bad design through a LI penalty. Seems sensible given the impact that LI has on land use decisions within SL. Sorry, too late to send this comment. Very interesting and very helpful your speech. Thank you very much.